A dispute over increased port charges inSomalia’s semi-autonomous Puntland region resulted in the Dubai-run harbor being shut for more than a week, leading to higher prices for food and fuel and triggering protests that left at least one person dead, residents said. P&O Ports, part of of Dubai’s state-ownedDP World Ltd., increased freight-handling charges by five-fold to$5 per metric ton on Oct. 25, said Abdalla Saleh Jama, the region’s former ports minister. The facility was closed on the same day after cargo operators and livestock exporters rejected the higher fees, he said. “The businessmen refused the ships entry into the port until the charges are reduced, while the company is not readyto back down,” Jama said by phone from Bosaso, where the facility is located. “The price of food and fuel has already started to rise. ”P&O won a 30-year concession to develop and manage a multi-purpose port at Bosaso in April. It plans to invest$135 million in the facility, the companysaid by email last month. An April announcement that the operator’s investment will be about $336 million in two phases is “subject to cargo demand,” it said. The authorities in Puntland handed the harbor over to P&O Portslast month.DP World spokeswoman Sana Maadad said she referred an emailed request forcomment to Khalil Saqer bin Gharib, communications director for the Dubai-owned Ports, Customs and Free Zone Corp., saying P&O Ports is a “separate entity from DP World and falls under thePCFC.” DP WorldacquiredP&O Ports in 2014 for $6.85 billion as part of a deal covering 30 terminals in 18 countries. Hundreds of opponents of the concession have staged protests demanding the accord be nullified, according to Jama and the Puntland Intelligence Agency’s ex-foreign liaison chief Mohamed Muse Abdule. At least one person died and two others were injured on Wednesday when police opened fire on demonstrations in Bosaso, they said.Ports Minister Said Mohamed Raage said by phone on Thursday that a change in tariffs had resulted in “some complications” at the port, without providing further details. Three calls to Defense Ministry spokesman Mohamed Mohamed Gubadle’s mobile phone didn’t connect. Last month, a committee of elders in Puntland filed a request in the region’s Supreme Court asking that the concession be either renegotiated or annulled. 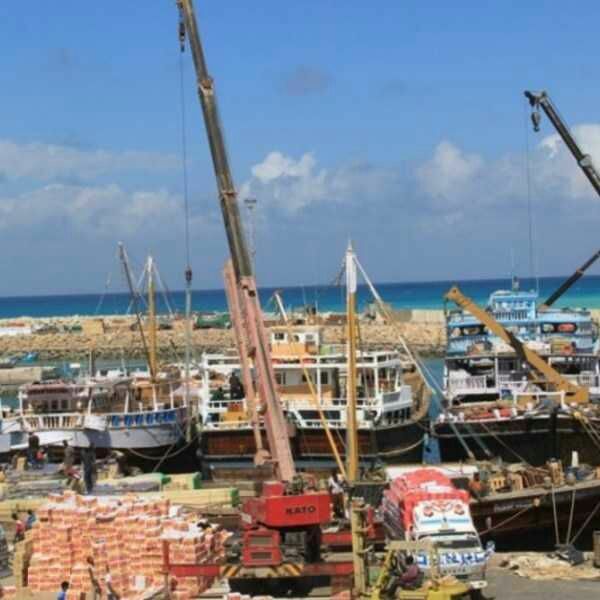 The application, submitted on Oct. 1 by lawyer Mohammed Awad Omarand sent to Bloomberg by the Old Bosaso City Elders & Intellectuals Committee, argued that the secrecy of the terms of the agreement rendered it null and void.“We urge P&O Ports to stop the implementation of this disputed concession agreement altogether and save yourselves and Puntland from protracted quarrel and legal battles,” the committee said in an Oct. 6 letter toDP World Chairman Sultan Ahmed Bin Sulayem. The court petition seeks to have the port development project relocated at least 10 kilometers (6 miles) from Old Bosasso City, arguing the agreement violates Puntland land acquisition laws. P&O Ports signed a “legal concession agreement with the elected governmentof Puntland in accordance with U.K. law,” the company said in an emailed response to questions. “We suggest theallegations are formally addressed to the legally elected and recognized government.”Puntland President Abdiweli Mohamed Ali and his office didn’t respond to emailed requests for comment on the allegations. Disney Cruise Line with NO Kids?? ?